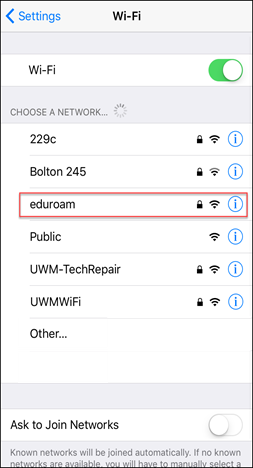 This article outlines how to connect to the UWM eduroam WiFi network using iOS. 3. 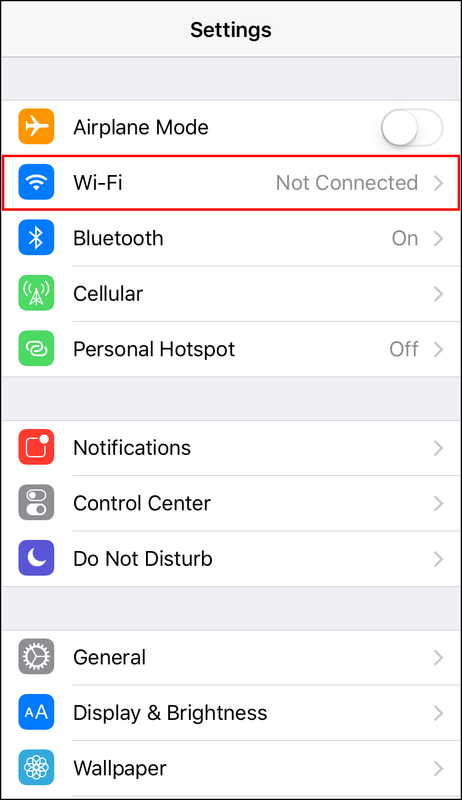 Under CHOOSE A NETWORK... select eduroam. 4. 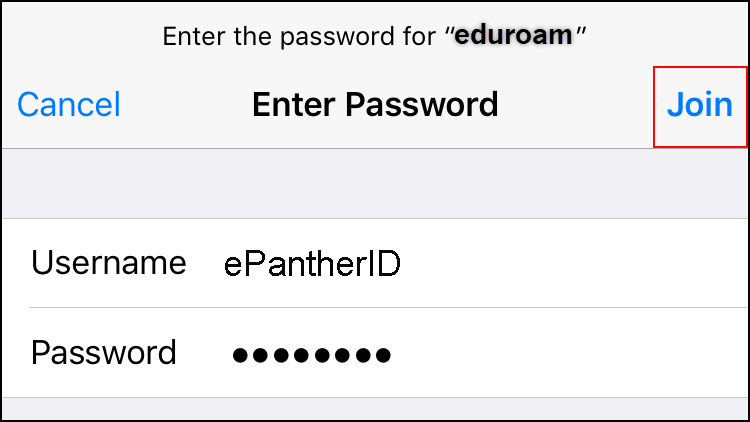 You will be prompted to log in using your ePantherID and password. 6. 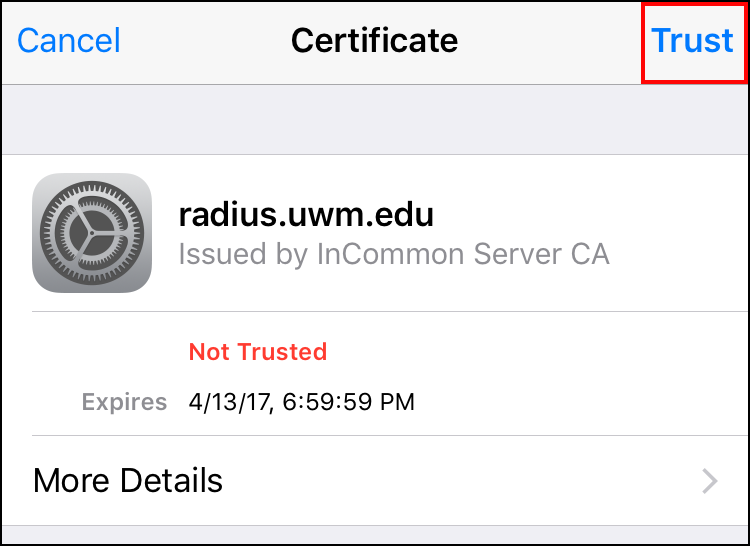 You should now be connected to eduroam.